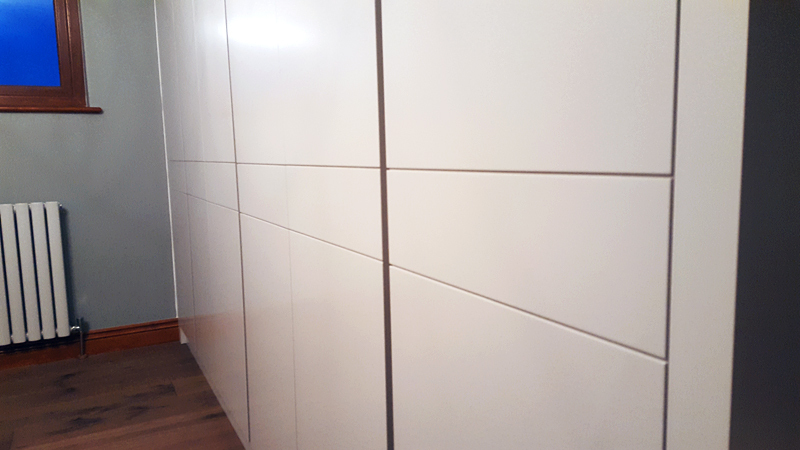 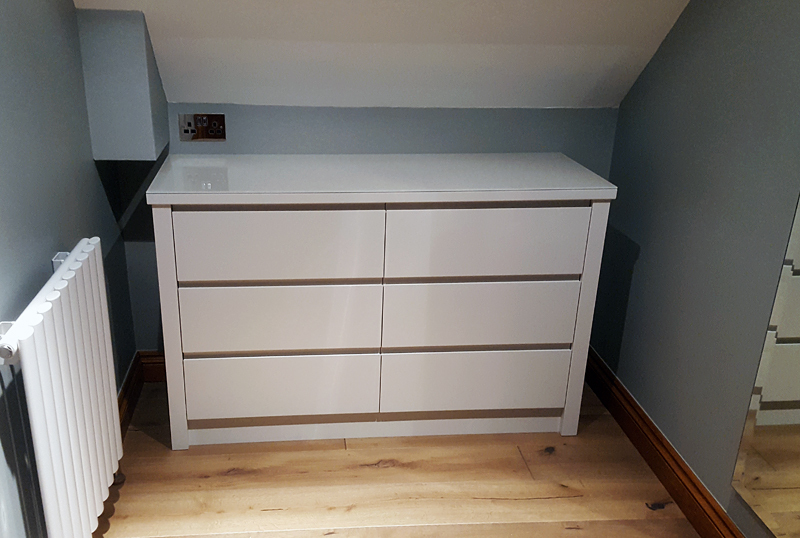 A few weeks back we posted up some photos of fitted bedroom furniture that we were in the process of working on in our workshop. 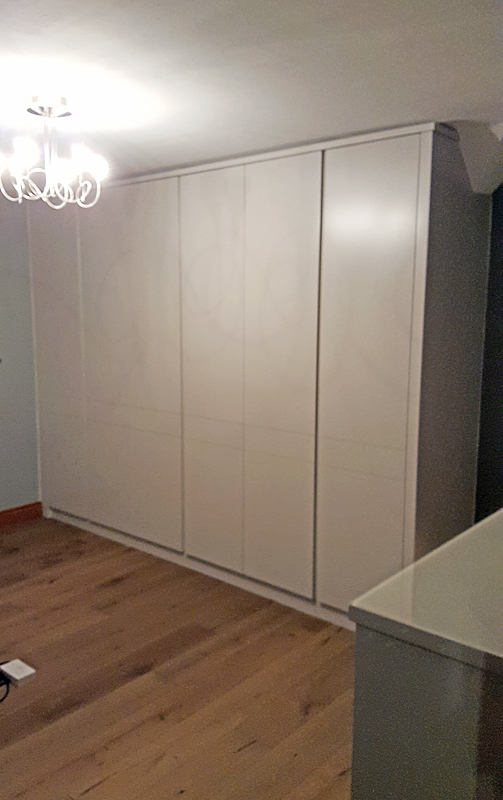 They are for a client in Wescott and we have now fitted them into our clients’ home as in the photos above. 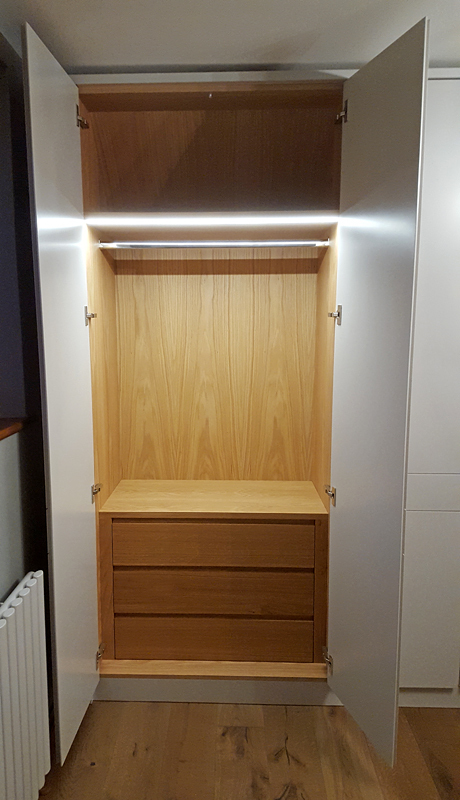 We designed and made a fully fitted wardrobe, a free-standing chest of drawers, and a pair of night stands with dressing table. 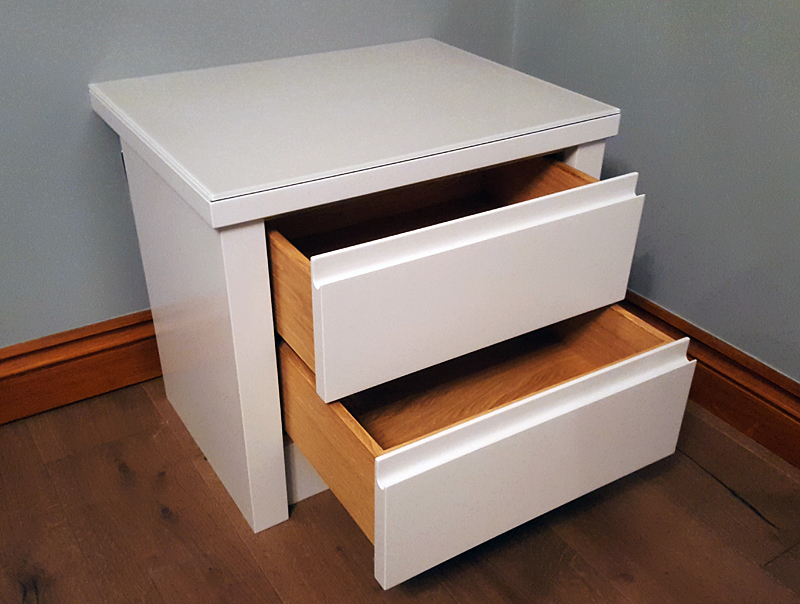 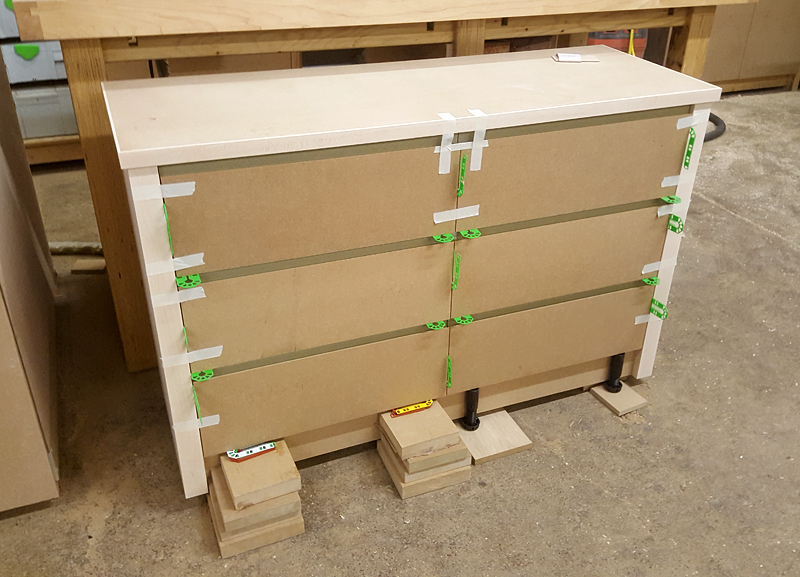 The framework we made in solid maple for strength and durability, and the drawers were constructed in a combination of oak veneered furniture grade MDF and solid oak, finished off with a natural oiled finish.